Lunch: Monday - Saturday 11:30am-3pm. Dinner: Monday - Saturday 4-10pm & Sunday 4-9pm. 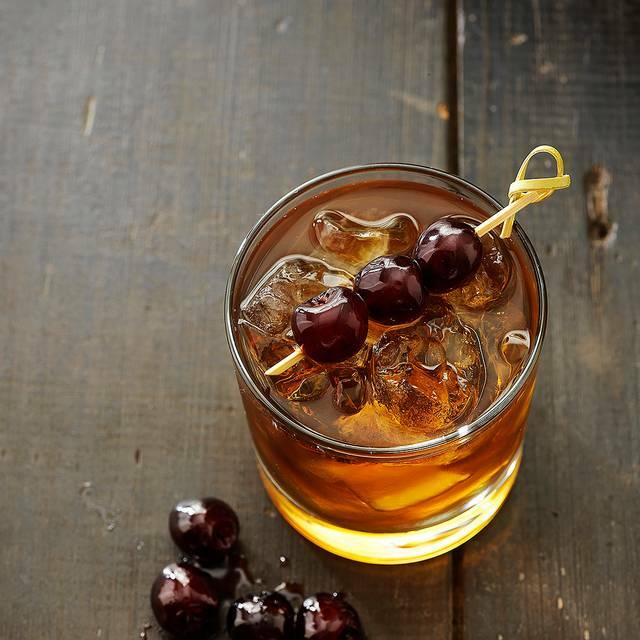 Happy hour food and drink specials: Monday - Friday | 4pm-7pm | Bar only. Whether you are looking to host a large dinner party or a smaller group for a special celebration, J. Gilbert’s is the place! 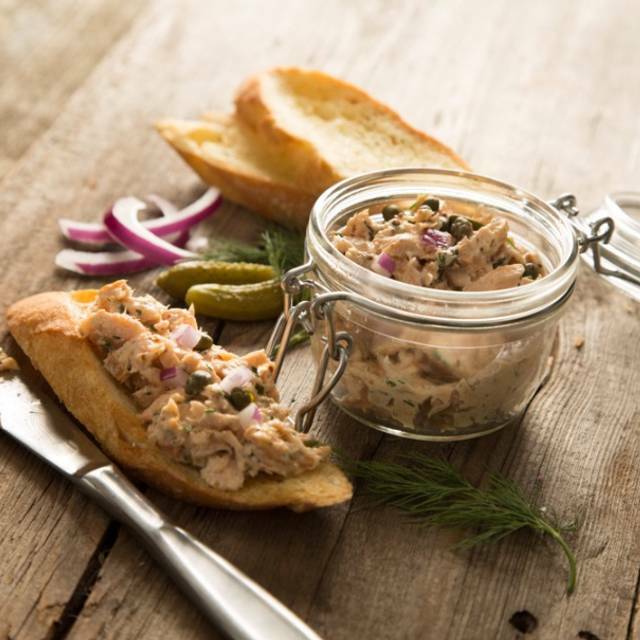 We specialize in making all your private events — business lunches and dinners, company functions, special celebrations, holiday parties and more — unique and unforgettable. 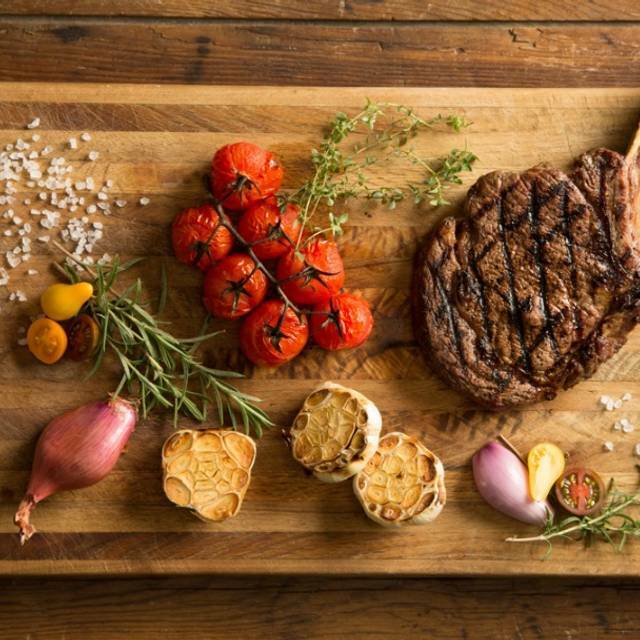 J. Gilbert's is an "upscale casual" steakhouse serving prime-aged beef cooked over a mesquite wood-fired grill. Guests enjoy various cuts of steak, fresh seafood (including award-winning crab cakes) & other house made favorites like the Maytag Bleu potato chips. 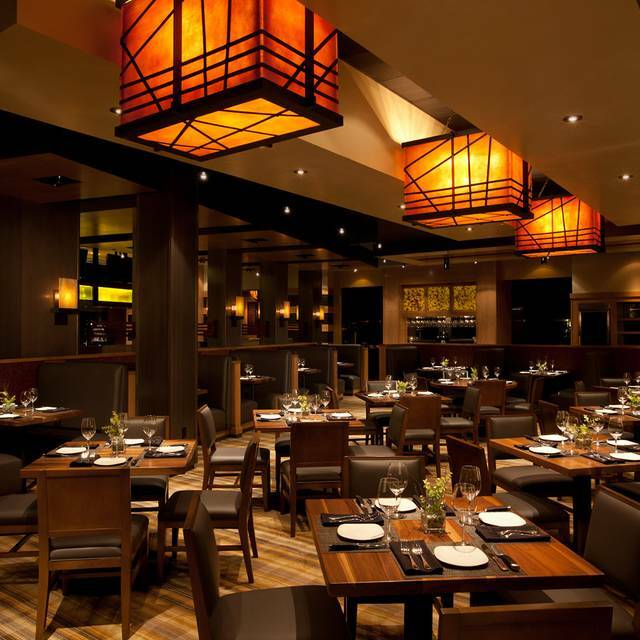 The cozy atmosphere includes rich wood, brick & soft lighting where you can enjoy a quiet table or host a large party. 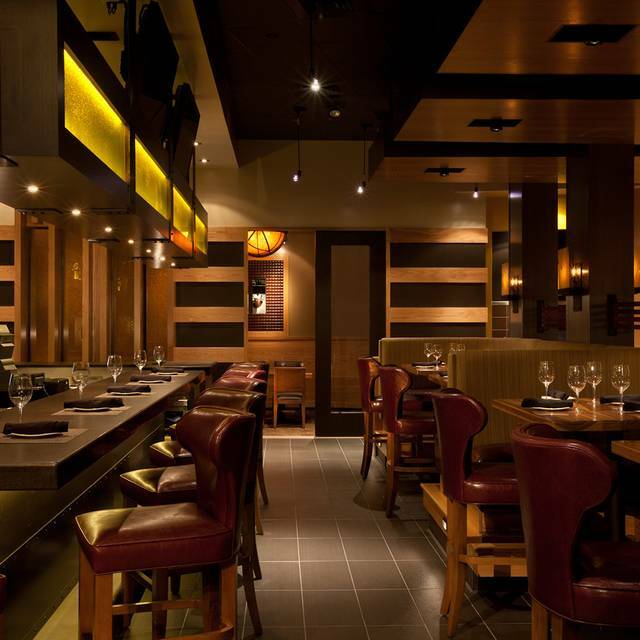 The extensive martini & wine list offers the perfect compliment to an excellent meal delivered with attentive service. J. Gilbert's is open daily for dinner & lunch. Reservations are recommended. Treat Mom to something special with our Mother’s Day 3-course Prix-Fixe menu, just $50. Featuring a selection of salads and soups, center-cut Filets, Seafood, Kansas City Strip, Chocolate Velvet Cake and much more. Full dinner menu available. Wonderful from booking through departure!!! Amazing greeter,meal, atmosphere and server! Everyone congratulated us for our anniversary. The food was amazing! We were not rushed... such an enjoyable evening! Outstanding food quality and presentation. Both steaks and seafood were exceptional. Service was good + and overall ambience was excellent. Noise level was a little higher than ideal for quiet conversation, but not too bad. Alaskan halibut special was great! Baked potato rolled in coarse salt - amazing! 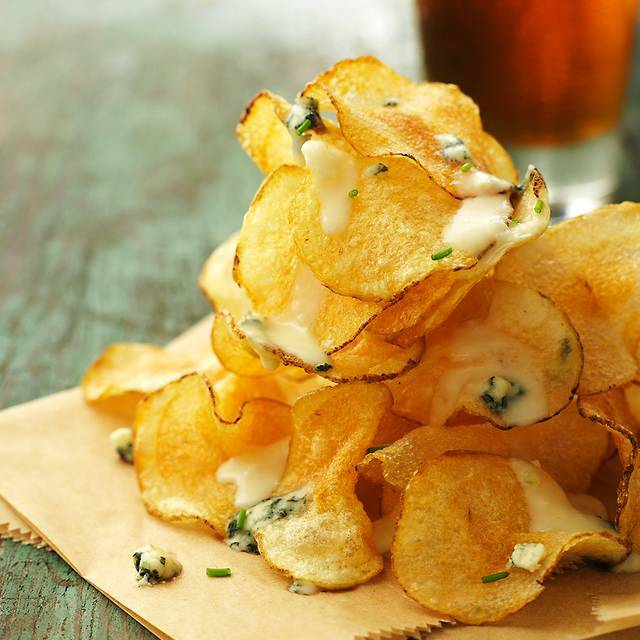 Love the blue cheese potato chip appetizer. Always an excellent meal and service at J. Gilbert's! Easter dinner date with spouse. Always enjoy J. Gilbert’s atmosphere, menu selections and the service. The filet with scallops were delicious and prepared just right. Easter lunch. As always, great Manhattans and a nice price fixe menu choice. Our server was great. No complaints. Gem of West County. We were a little put off by the hostess at the front door. We were early and didn’t say she would try to get us in early. Didn’t mention there was mire seating to wait past the hostess stand. The hostess was not warm. BUT after we were seating we had fantastic service and fabulous food. Every single menu item from the bread and butter to the main course was exceptional. We really enjoyed the food as well as the service. Our server Nikki (I guess that's how she spells her name 🤗) very attentive to us. The food was DELICIOUS!!! Sour dough bread was very good. Caesar salad, fair. Crab cake and steak with lobster entrees were outstanding, with a nice selection of sides included. House made ice cream finished it off and was off the charts, cannot be beat. Nice booth lends to a very nice experience. We had an amazing waiter and the crab cakes meal and the filet meal were amazing. The creamed corn with bacon is a must have side. The 7 layer coconut cake was so delicious! First time. Outstanding food and service. Will return in the near future. was fresh and so was the carrots. Their food is fabulous! We had dinner this particular evening because they had a mid-week “Surf & Turf” special. Our server was thorough and not at all surprised that we were considering only the special. Good food - we both enjoyed our meals. Both Monica, our server, and Chris (manager, I believe) were perfectly congenial, responsive to our every need. Add that to a delicious, beautifully presented meal, and our evening couldn’t have been more delightful. 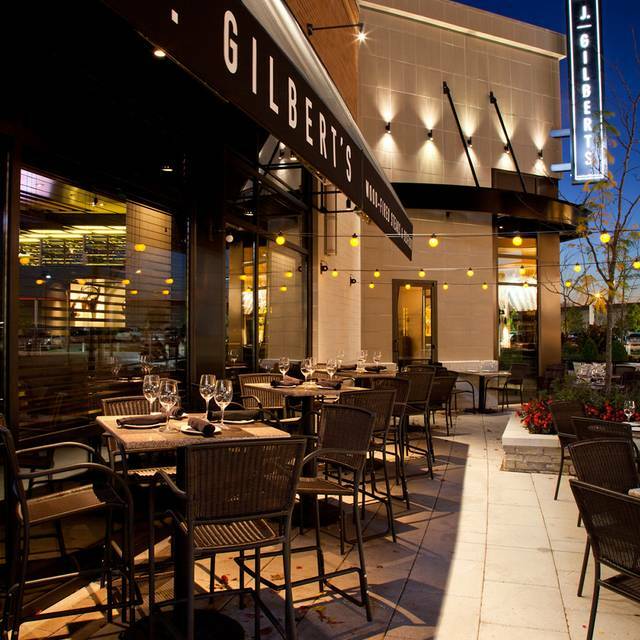 J. Gilbert’s is definitely THE place to go for a wonderful experience in fine dining. My husband and I enjoyed our anniversary dinner here. Everyone was very attentive and treated us like we were the only ones there. From the waitress to the manager, excellent service. Next date night will be here for sure! This has become my hasband's favorite place. Date night a hugh success. 4* across the board. VERY good steaks, VERY good seafood, portion size is correct, flavors excellent. Shane was an excellent server, efficient, accommodating and personable. Will definitely return. No welcoming smile from hostess; was going to dine in the bar. Changed my mind female bartender offered neither smile nor welcoming greeting. These two employees did not seem happy to have a job. We decided to dine on the patio and thankfully received friendly service from Tamichael who made up for the duds. J. Gilbert's is one of my favorite restaurants! Sam is an awesome server!!! Great place for a special occassion! We went for our anniversary and it was perfect! Always great., every time we eat there , we are always pleased. Everything was great as usual. We made a reservation, but there was no need, there wasn't a wait. Scott was attentive and pleasant. Always great food, and outstanding service from Tamichael! My wife and I went for her birthday and had a wonderful time. The service and food were excellent! Food is always good and a reasonable value for decent steak. The poblano potatoes au gratin are sinful. Our waiter was solicitous, but rushed us through our wine selection and dinner. For a $200 meal for two, I like to take our time. Amazing service, food and wine list! The food and the service are both very good. 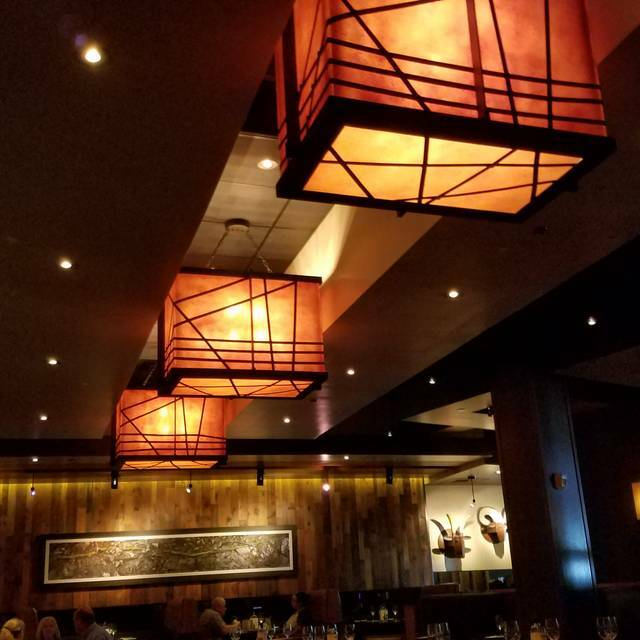 That is always our go-to place for a great meal . Our server was excellent. She was helpful and didn’t rush us. We enjoyed her suggestions and had a wonderful lunch. Thank you! Outstanding dinner and outstanding service our waitress was excellent!!! The food and the experience at J. Gilbert's is always amazing! The tables would benefit from having a candle or source of light on them. It's very dark. We weren't wowed by the food. The sea scallops on risotto were good. 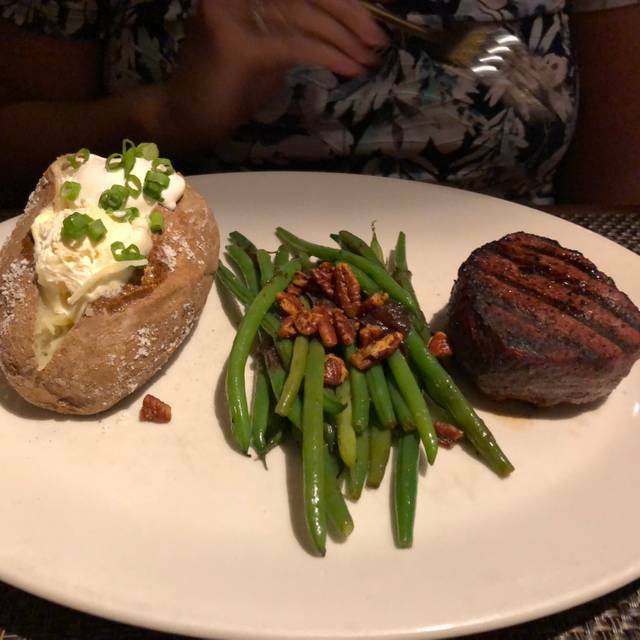 The filet was nice but not outstanding. The wood-fired asparagus were...just not a good combination at all. Prices were a bit high. It was My second time eating there and it gets Better each and every time it seems like. Ethan our server was amazing and very tentative to our request. Every thing was delicious. Service was great. Sam was a great server and answered all of our questions concerning entrees as this was our first visit. We definitely plan on going back.